It is important to learn how to manage the users on your website. This allows you to keep up with the audience that is reviewing your website. In Concrete5, this process is quite easy and it is one of the core features of the product. To manage the users on your website and their details, you first need to access the Dashboard of your Concrete5 website. To add a user on your Concrete5 website, you need to locate the Members section on the Dashboard and click on Add User. Username - Enter the username of the new user on your website. Password - Enter a password for it. Email address - Set the email address for the new user on your website. Language - Choose a language for the new user. 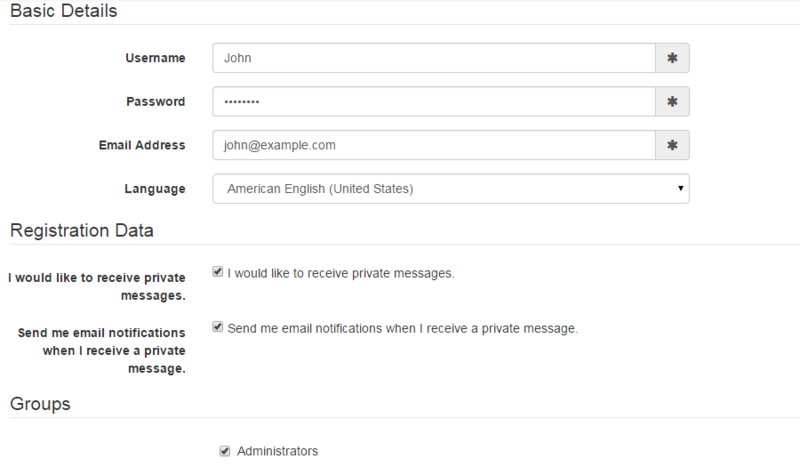 Registration Data - Choose if the user will receive notifications from your website via email. Groups - Add the user to a certain user group. When ready, simply click on the Add button below. The system will create the new user automatically for you. To edit a user on your Concrete5 website, you need to access the Dashboard again and locate the Members section. Click on the Search Users button in the section. Click on the user that you wish to edit. Note that you can filter the users on your website to find the one you need easily. Click on the option that you wish to edit and add the new value for it. To delete a user on your website, you need to follow the same steps as when you edit users. Locate the actual user that you wish to remove and click on the Delete button at the top-right corner of the screen.